Thread Counts, What Do Those Numbers Mean? These days we see thread counts noted everywhere, even on hotel advertisements! 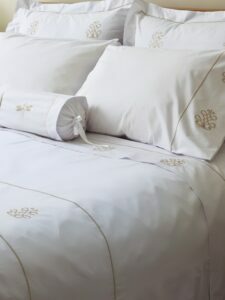 Egyptian cotton sheets sound luxurious, and does it really matter if your sheet has a lower count, or is a poly blend? Read on to find out more about thread count. Thread Count Involves Federal Standards! According to Home & Garden’s HowStuffWorks, “thread count means the number of threads woven together in a square inch. You count both lengthwise (war) and widthwise (weft) threads. So why would a higher count be considered “better?” Because the finer the thread, the more you can fit into that one inch space. But how high can those counts go, and at what point does it become a marketing ploy and not really something you can feel? Consumer Reports explains, once a manufacturer starts listing thread counts of 600, 800 or even 1,000, its actually misleading. Using thinner and thinner strands, threads are twisted together to make a single thread but allowing for “double, triple or even quadruple the thread count.” That doesn’t mean it’s a better sheet, but it certainly seems to mean the higher price is accepted by many. Don’t get fooled. 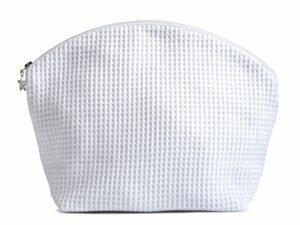 In tests done by Consumer Reports, the sheet that scored the highest was only 280! It maintained its size and fit. The difference is in the fabric itself. Percale, Sateen, Egyptian, Pima, What Does it All Mean? The top three choices for cotton are Pima, Egyptian and Combed. Make sure you know what you’re buying, and purchase based on your personal preference. Sateen provides a soft sheet. Percale provides those crisp cotton sheets we hear about. And remember, cotton sheets are usually treated to make them feel softer in the store. Don’t be surprised if a sheet feels differently after it’s been washed. As a matter of fact, it’s a good idea to wash sheets before using them the first time. And if you don’t like how they feel after that first wash, return them. How Long Will Good Sheets Last? Sheet counts under 200 will not last long, and will probably feel coarse to the touch. According to Sleepdex, if you hold a 160 thread count sheet up to the light with this low count level, you will be able to see through the threads. At 180 you’ll have a decent quality and can expect three to four years of usage. Between 200 and 400 count, you’ll get an additional two years or so if you change out sheets regularly. In fact, 400 is the sweet spot for thread counts with sheets. At Jacaranda Living we offer a choice of thread counts, 200 – 400, which are the softest and best quality 100% Cotton. Our fitted sheets fit up to 18” deep mattresses, and also come in a 200 or 400 thread count option. If you’re considering new sheets, and want quality that will last, select 100% cotton sheets with a thread count between 200 and 400. These sheets will last longer, and give you the feel seek for a great night’s sleep. 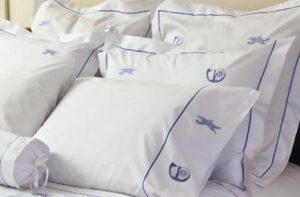 We offer a wide selection of embroidery options and sheet sizes from Twin to Queen to King, including fitted and flat sheets. Posted on February 20, 2017 Author Jacaranda teamCategories UncategorizedLeave a comment on Thread Counts, What Do Those Numbers Mean? It’s the season for parties. But with so much to do, and time running out, it’s easiest to keep things simple! Planning a quick cocktail party for friends, neighbors, or people at the office can be the best way to connect, catch up, and still have time for all the other things that seem to pop up on your calendar at this time of year. If you’re going to take the time to have a party, make it memorable. Assuming your home or apartment needs only a simple dust and clear up, let’s look at decorations. No need to set up a tree if that’s not part of your plans. A centerpiece of greens, colorful ornaments, and a few candles, collected into a large glass vase can look beautiful. Midwest Living features a beautiful Cranberry Candles centerpiece that combines all of the above displayed in a simple tray you may have lying around just waiting for it’s moment to shine. Spicy Mexican Hot Cocoa is a signature drink that can warm up your cocktail party! Other options include displaying ornaments in family heirloom bowls or platters, creating flower or candle holders from holiday candy favorites, and filling jars with colorful beads and dried herbs. Make the centerpiece reflective of your own style, and that of your guests. They’ll feel right at home. Cookie exchanges and complicated appetizers area great if you’ve got nothing but time on your hands, but if you’re working full-time, trying to get around to all the office parties, and fit in time for shopping and visiting family, you may be looking for far simpler fare. Why not feature healthy appetizers at your cocktail party to counteract all the sweets and heavier foods most parties feature. FoodNetwork.com has some great ones including greek yogurt dip, hot crab dip, and even a light version of guacamole that may surprise you. Also consider a signature beverage to cut down on liquor costs, and keep things simple. Why not offer a warming Mexican Hot Cocoa like the one from Epicurious. Made with chocolate liqueur and ancho chili powder, it’ll tantalize, and can be made ahead and kept warm on the stove, sending out the scent of cinnamon, chocolate and and chile! For those who want something cold, fill a cooler with bottles of red and white wine, some hard cider, or seasonal beers, and your cocktail party will be ready to go! So now comes the important parts of party planning. How much do you need and what should you have on hand? To show your guests you really care, consider skipping the plastic glassware, and plastic cutlery, and going for glass and real silverware. There are multiple sources for inexpensive but nice glassware, dishes, and cutlery. From boxstores to online restaurant supply stores, you’ll have your choice. Order extra to allow for breakage. You’ll enjoy yourself so much more, and matching, simple glassware can make clean up a whole lot easier as well. Make sure your guest powder room gets into the cocktail party spirit too. Use a runner rather than a tablecloth for buffets and tables. 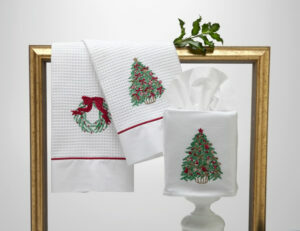 And purchase cloth cocktail napkins that can be used year after year. 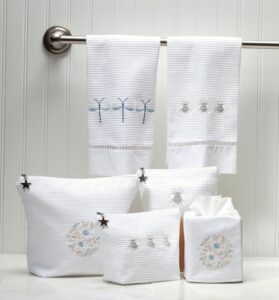 Jacaranda Living offers a beautiful range of embroidered cocktail and dinner napkins perfect for a small party, or a large formal dinner. 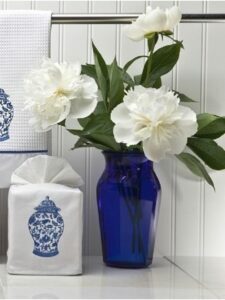 As an added way to show your guests you care, don’t forget the powder room. Simple things like scented candles, pretty guest towels, and fancy soaps, or holiday scented hand wash add a nice touch. It can make your cocktail party stand out, and be the one your friends look forward to next year. When it comes to holiday gifts for mom, let’s face it, she may be the most important person on your list. Mom, Ma, Mum, or Mommy, young, old, or just hitting her stride, moms are an important recipient and can also be one of the toughest people on your list to buy for. But fear not! There is hope! Remember when you used to receive socks, or underwear for Christmas? Perhaps not your favorite gift. Maybe you also received gifts of simple toiletries, or clothes you needed anyway, and it didn’t seem much like a gift. But have you given thought to whether your Mom received those types of gifts? In fact, many mothers forego their own needs to make certain their kids have more than enough. A “practical” gift can actually be quite luxurious when you give it some extra thought. So why not make the “practical” extra special this year? Some of the following items offered by Jacaranda Living make great gifts. You’ll be giving top quality items that can be customized for your Mom or any other special women in your life, and it’s probably something she’s hoping for but wouldn’t buy for herself. 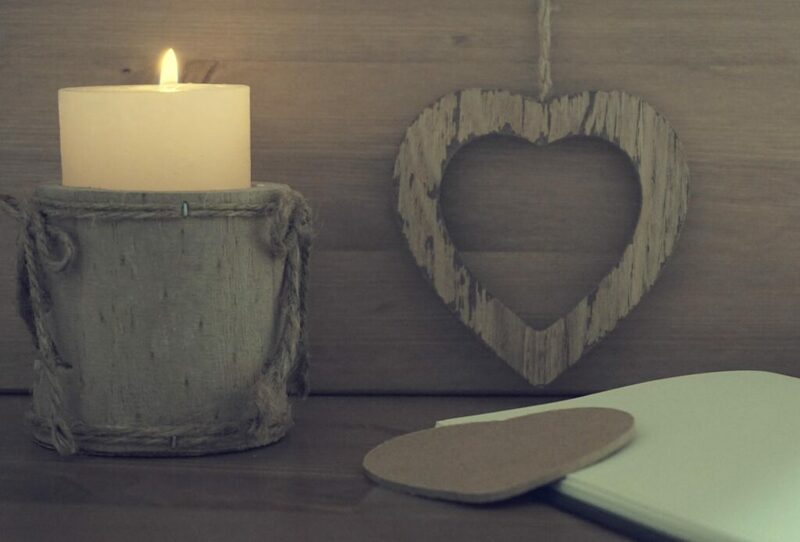 Why not show her how special she is with a special gift from Jacaranda Living? Sleepwear – Who doesn’t love to snuggle down at the end of a long day in their favorite robe and slippers. Jacaranda Living offers a wide range of beautiful cotton nighties, pajamas, slippers and robes that would be a perfect choice. 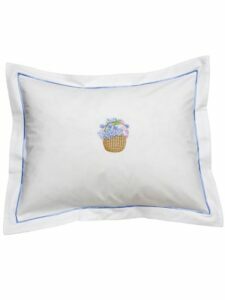 They can be embroidered with many beautiful designs to make them a gift she’ll treasure for many nights to come. Create a Cuddle Up Sleepwear gift package especially for her by including a cocoa mug featuring pictures of you, grandchildren, special artwork, and it’ll make ending every day a celebration. Popsugar has a great article on how to make your own very special mug to go along with a cuddle up sleepwear gift package. Every woman can use our special lingerie bag to ensure that delicates, and hand-wash only items don’t get damaged in the wash. Moms are busy women so having a lingerie bag (especially a beautifully embroidered one from Jacaranda Living) is the perfect way for her to get all those much loved delicates cared for gently. Our Every Day Life recommends pretreating any stains first, then using the lingerie bag to make sure your delicates stay that way. Your Mom may appreciate more than one lingerie bag, one for every day, and one for special delicates to keep them stored safe. Some days heading out into a nasty morning filled with rain and fog can be downright dreary. But with a raincoat and umbrella from Jacaranda, Mom could take the sunshine with her. Our ensemble is sure to put a smile on her face and perhaps a few others as she commutes to the office. As with the raincoat and umbrella, carrying a hint of springtime can be a great way to keep your Mom feeling positive and upbeat. Our bags are made of cotton with beautiful botanical patterns. If Mom travels for business, she may love a beautiful carryon bag that stands out from the pack, and has room for all her important items. If your Mom is the one in the family who hosts every holiday dinner and is at her happiest planning a party surrounded by family and friends? She may enjoy a gift that makes that kind of day extra special. The table is usually the highlight of the event. These tips from Martha Stewart can help her create a table worth remembering. Elegant table linens can make a big difference in the overall look of a table. 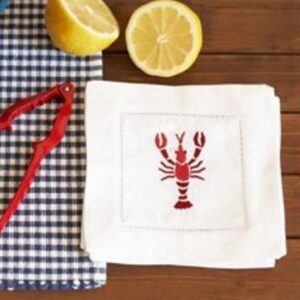 Jacaranda Living offers a variety of embroidered table linens. We also offer a variety of fabrics and embroidery patterns to match her personal style. The most important thing when selecting a gift for Mom is putting thought into it. In fact, any gift should be something you think about. Who is the person you’re buying for? What do they like? When you care about the recipient, you should also put care into selecting a gift that shows it. Giving a gift from Jacaranda Living means you’re choosing a gift of quality and elegance. 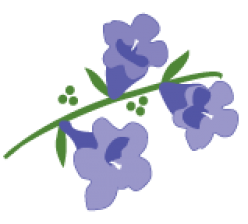 Our gifts can be personalized to tell your Mom, or the person who is like a mother to you, just how much you care. Visit our website to see more and consider a gift from Jacaranda Living this year. Posted on October 31, 2016 October 31, 2016 Author Jacaranda teamCategories Bedding, Bedroom Decor, Home Decor, UncategorizedLeave a comment on Duvet or Comforter, What’s the Difference? 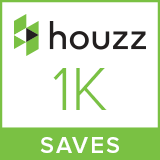 In August, Jacaranda Living was thrilled to receive notification that over 1,000 photos of our products had been saved to ideabooks in the Houzz.com community. We are honored that so many people see us as inspiration for so many dreams, ideas, and remodeling/interior design plans. Not sure what Houzz.com is? If you’re into remodeling, interior design, or just decorating the home you have, (or even dreaming of a future home), Houzz.com and many other sites can be inspirational. Inspired by dragonflies? Use them as a theme in your bathroom. And those are just five of the many sites out there with endless ideas to help you create the home you and your family will love. While Houzz.com is a favorite of ours, we’d love to hear about your favorites. Feel free to share in the comments. When it comes to interior design, we know doing it yourself can take time. Whether you’ve purchased a fixer upper, have an apartment that needs refreshing, or you want to give your new home a personal touch, its a process for some and a hobby for others. To get started, set up an online file of websites, images, and ideas that inspire. Not sure of your style? Consider taking an online quiz on decorating like the decorating style quiz offered at Houzz.com. Once you know what style you’re most attracted to, start visiting blogs, decorating sites, Houzz.com, and some of those listed above to find items and looks you’d love to include in your newly designed home. Not sure how to start? Take a look around your home. Select one or two items that you really love or feel drawn to; maybe a beautiful antique vase from a relative, or a child’s drawing that holds special memories, and don’t overlook that collection of seaglass from a favorite vacation. Whatever it is, use that as your inspiration, for color, for mood, for style. Then build your palette around that item. You may find the rooms design themselves once you’ve found the right piece that really speaks to you. We’d love to be a part of your home’s décor. At Jacaranda Living, we can help personalize your bedroom, or bath. 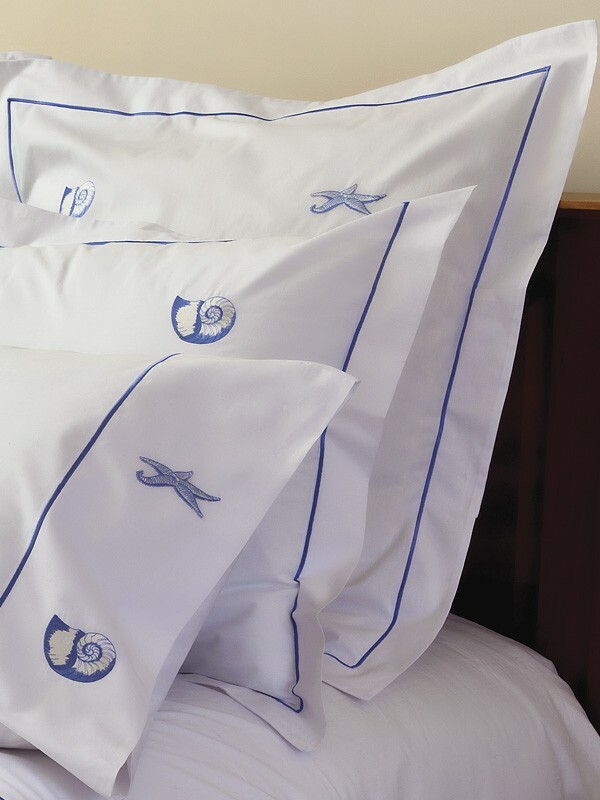 Our beautiful cotton sheets and pillowcases feature 200 or 400 thread count options. We also have euro, boudoir, and bolster pillow cases, all of which can be custom embroidered with your choice of over 25 different designs. Sheets can also be embroidered to match. 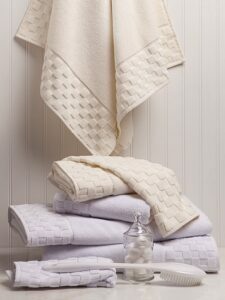 For the bath we offer towels, shower curtains, and even embroidered tissue box covers to give your home a clean, pure cotton look of elegance. 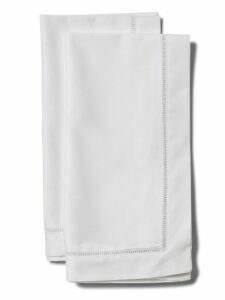 Shower curtains come in a choice of cotton percale, or pure cotton diamond pique, and you can order them with or without embroidery. Thick terry bath towels make any bath seem more inviting. Dreaming about a beautiful home is nice, but actually having that home is even better. Don’t put off having the house or apartment of your dreams, but don’t feel bad about starting small. For most of us, taking that first step is the important part. If budget is tight, take one room at a time. Select one or two items for inspiration and design around those. One beautiful change can make such a difference. A new shower curtain in the bath can brighten up the room and get you thinking about the next step. Fresh cotton sheets on a bed can give you a better night’s sleep and maybe get you thinking about a bold new paint color or moving some furniture around to free up some space. Create an idea book today and get started on redecorating your home. It’s invigorating, and fun. We’re happy that we’ve been a part of so many people’s dreams on Houzz.com. Hope to see you there!